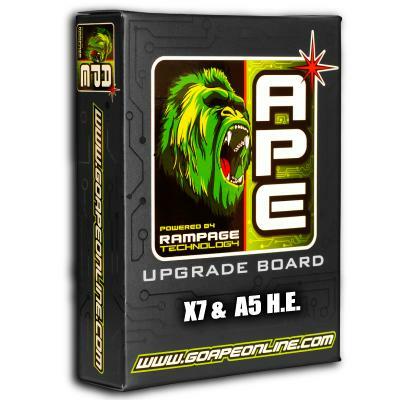 The Rampage board for the X7, A5 HE, and PHENOM is a direct Drop-In replacement for your existing E-Grip. No need to turn your board on or off, just use the selector switch to select the firing mode and go play! When you’re done for the day just switch your selector to the safety position. It’s that easy! Weather Resistant Conformal Coating protects your electronics in the Rain! Visual LED Mode Indicator – Visible in Direct Sunlight! Rate of Fire from 5 to 30bps! 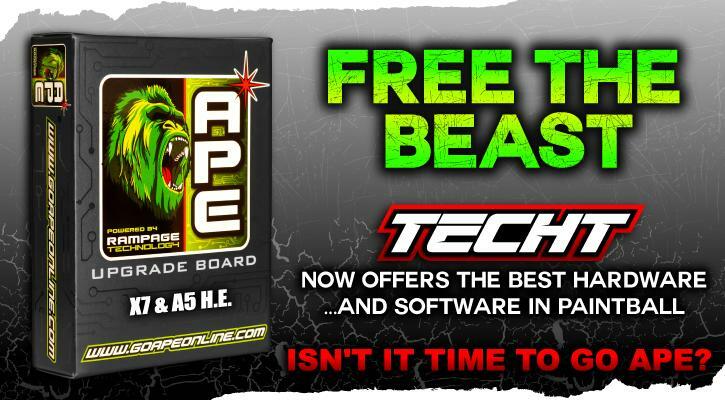 NOTE FOR USE WITH X7 PHENOM YOU WILL NEED TO ALSO BUY OUR FANG TRIGGER FOR THE APE BOARD - SEE ITEM NUMBER BUP018 for the combo. 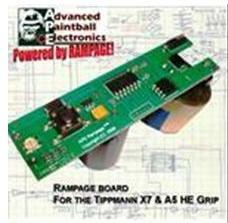 For X7 and A5 HE you can use the stock trigger with this board or the TechT Fang Trigger for best performance.